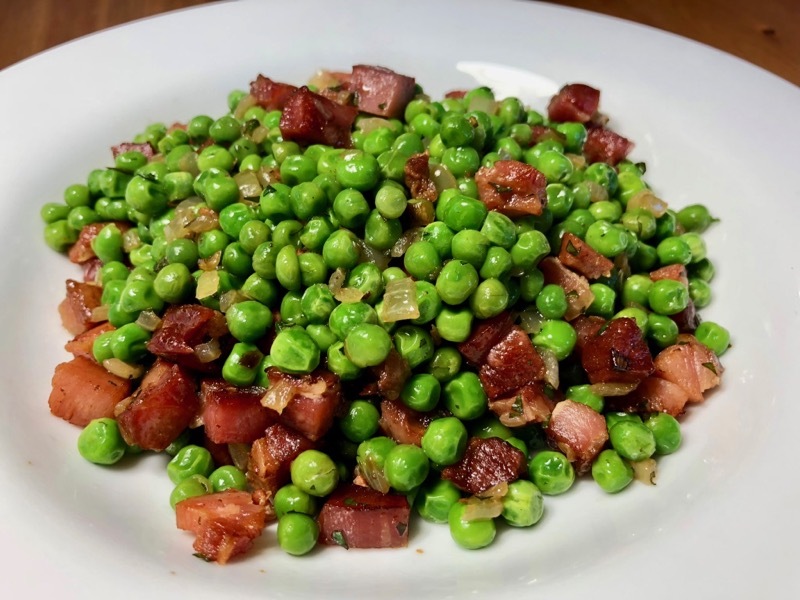 There’s no excuse to eat junk when you can make this wonderful balance of savoury pancetta and sweet peas from start to finish in twenty minutes. Well? get moving! Preparation: Place a frying pan on medium heat and add the pancetta. Stir occasionally until lightly browned. Add the onion and cook, stirring occasionally until the onion is softened (approximately five minutes). Add the peas and salt, stirring occasionally for three minutes.